EDMONTON - Some of Alberta's last remaining habitat for two endangered caribou herds has been sold off for energy development and auctions for more of it will proceed despite calls for a halt. "There aren't any plans at this time for any further moratoriums," Alberta Energy spokesman Mike Feenstra said Thursday. A lease auction that began Wednesday included 1,700 hectares in northwestern Alberta used by the Narraway and Redrock-Prairie Creek mountain caribou herds. Feenstra said that, so far, leases on 181 hectares of caribou range have been purchased for $4,830.42, or $26.63 per hectare. Earlier this month, both the herds were assessed as endangered by the Committee on the Status of Endangered Wildlife in Canada, the highest threat assessment in Canadian law. Scientists on that committee say destruction of habitat by industrial development is the main driver behind a 60 per cent decline in numbers over the last decade. Data analyzed by Global Forest Watch suggests 81 per cent of the Narraway herd's range is already disrupted. Only one other herd in Canada faces worse conditions. Scientists, environmentalists and opposition politicians have all called for a halt to the sale as well as for a moratorium on future sales on the Alberta ranges. Such a moratorium has been proclaimed for the nearby Little Smoky and a la Peche herds. Feenstra said Alberta is unlikely to call for a halt on lease sales until details have been worked out for the one already declared. "What we expect out of the range planning that's happening in Little Smoky and a la Peche is that there's going to be learnings about process and content that could be applied to other ranges. But at this time we haven't made any decisions about changes in other ranges." A draft range plan for the Little Smoky and a la Peche herds was supposed to be complete in January. Alberta Environment spokeswoman Carrie Sancartier said that timeline has been delayed. "Given the importance of this issue, we're taking a bit more time to explore all the opportunities and challenges," she said. There is currently no timeline as to when that range plan will be complete. Alberta Energy Minister Diana McQueen said Wednesday that energy companies work under strict rules on caribou ranges that detail when and where they can work. "The companies can purchase the land for sale but they also know that if they want those resources they have to do (it) under the regulations that are there," she said. "To get approvals they have to meet the land conditions with regard to development and especially in areas where there's threatened species." Critics say those rules don't set any limits or thresholds for impacts. 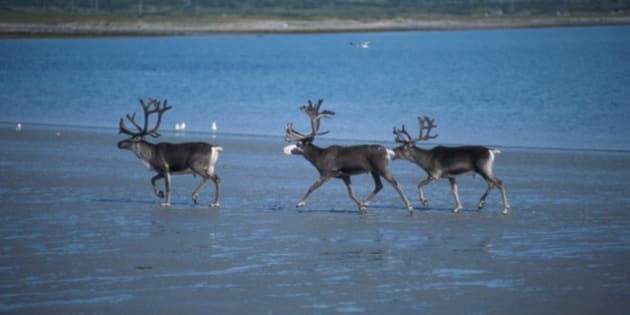 They say if the rules worked, caribou wouldn't be vanishing.